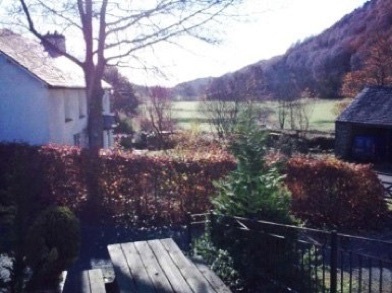 A charming 17th century barn conversion located within peaceful Grizedale Forest. 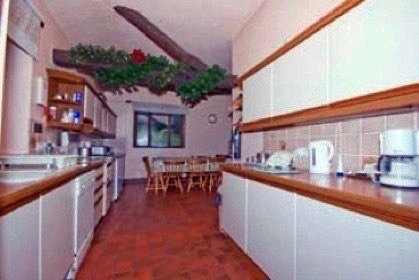 The Barn is owner managed (not agency), so NO 20% VAT. Guests have the use of our extra large wooded garden, with a pretty steam passing through. Off-road parking and free, lock-up, undercover cycle storage is available. There are unsurpassed mountain bike trails from the door. 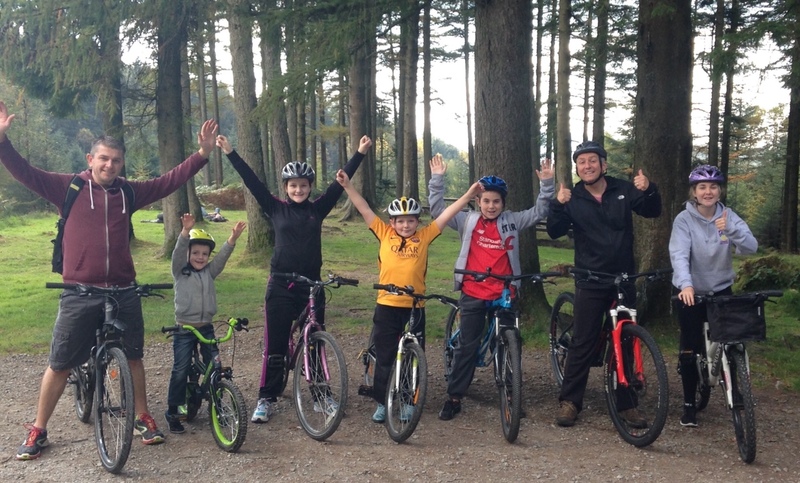 Go Ape at Grizedale is 15 minutes drive or an hour’s walk. Visit our grandchildrens’ favourite venue - Old Hall Farm - just 20 minutes drive. Why not order your groceries from home before you start your holiday? If you have a Tesco account, Tesco will deliver to High Dale Park Barn (LA12 8LJ). Visit Hill Top - home of Beatrix Potter - 10 minutes drive or a pleasant morning’s walk away. Windermere Lake Cruises - 15 minutes drive to Lakeside - easier parking than Windermere. Lakes Aquarium is also at Lakeside and well worth a visit. Also, Lakeside & Haverthwaite Railway & Lakeland Motor Museum are only 15 minutes drive. Excellent food and local beers at the owner-managed Eagle’s Head - our guests’ favourite! Trout, Pike and Roach fishing and tuition is just one mile from the Barn at Esthwaite Water. Local taxi/mini bus service is available from Hawkshead (3 miles). is available throughout the Upper and Lower Barn. For many more attractions within eight miles of High Dale Park Barn, click here. For information about local events during your visit, click here. “Esthwaite Water is the most beautiful of lakes." 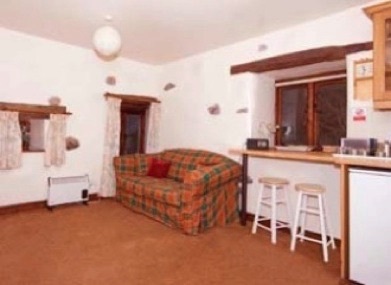 The Upper Level Lounge has a cosy woodburner set in a large Lakeland stone fireplace. Logs are supplied free of charge between October and April. 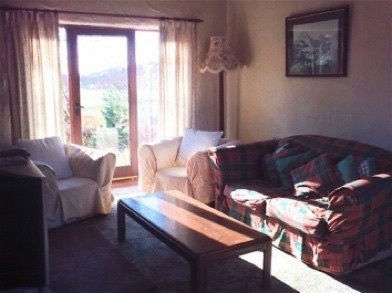 In the lounge there is a large TV and DVD/CD player and seating for eight people. broadband is available throughout the Upper Barn for a nominal charge. The outlook through the patio door is a beautiful, unspoilt southerly view down the valley. 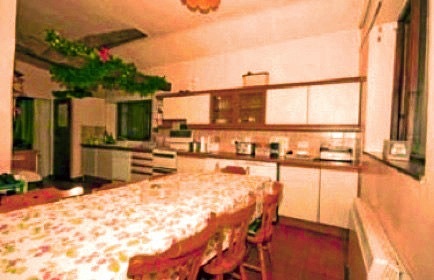 The very large kitchen includes a big table and eight chairs, cooker with ceramic hob, slow cooker, dishwasher, washing machine, tumble drier, separate fridge and freezer, microwave, filter coffee maker, radio and payphone. 1 with adult - sized bunks. 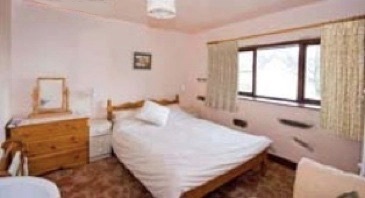 All the bedrooms have bedside cupboards and lamps, wash basins, shaver sockets and wardrobes. 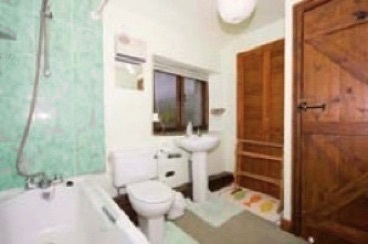 The Bathroom has a bath, shower, sink, toilet, heated towel rail and fan heater. The Studio Apartment sleeps 2-3 and has a 4ft. 6ins. futon, 2ft. 6ins. chair bed and small TV. The fully fitted kitchen area provides a full size cooker with extractor, microwave, washing machine, coffee maker and fridge with freezing compartment. The Studio is heated by two storage heaters (cost included in rental price). The shower room has a shower, sink, toilet, heated towel rail and fan heater. broadband is available for a small charge and there is a large wardrobe in the hall. Outside there is a large picnic table (separate from the Upper Barn), a long washing line and plenty of parking space for two cars. At High Dale Park Barn there is ample off-road parking for up to six cars. The Upper Level lounge opens out on to a large, south facing patio with picnic tables and a beautiful view down the valley. 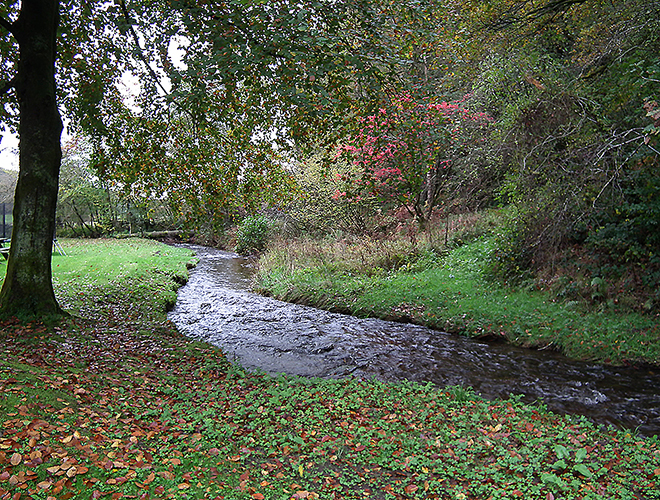 Dale Park Beck winds its way through our garden and the meadows which are flanked by deciduous woodland. 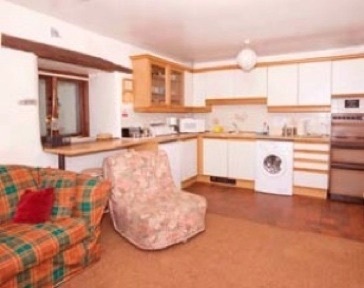 The Lower Level apartment has its own picnic table and sitting out area. In colder weather, heating is provided by storage heaters in the kitchen, lounge and landing, the cost of which is included in the rental charge. Cots(s) and high chair(s) and lock-up cycle storage are available at no extra charge. Our water originates from a fellside stream and although it is filtered and passes through UV filtration, it contains no chlorine or other additives - just pure, safe, natural, Lakeland water that you can drink straight from the tap - delicious! High Dale Park Barn nestles in a small, peaceful valley, down a quiet country lane within Grizedale Forest Park - one of Lakeland's largest forest areas. Woodland walks amongst the famous forest sculptures are literally seconds away. High Dale Park is an excellent base for a walking, horseriding, cycling, or sightseeing holiday. Grizedale Forest provides many purpose built mountain bike trails from easy to advanced, including the well-known, formidable North Face. The forest is full of gentle walks, suitable for those who don't want to tackle high mountains such as Coniston Old Man (20 mins. drive) or Scafell Pike (England's highest mountain - 30 mins. drive). Click here for a current general price guide, or phone 01229 860226, or email here.